Wow guys just wow. 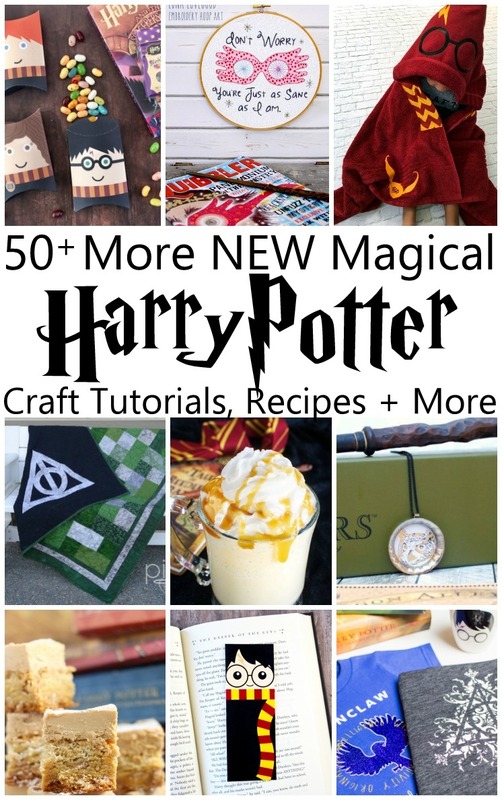 I’m totally blown away by the over 50 more magical Harry Potter projects that were shared as a part of my Happy Harry Potter series this year! The past two weeks have been an insane about of fun. And I know there were A LOT of posts so just in case you missed anything here’s everything that everyone shared in one easy to pursue spot. As the Summer winds down little witch and wizards are finding themselves needing to pack for Hogwarts. 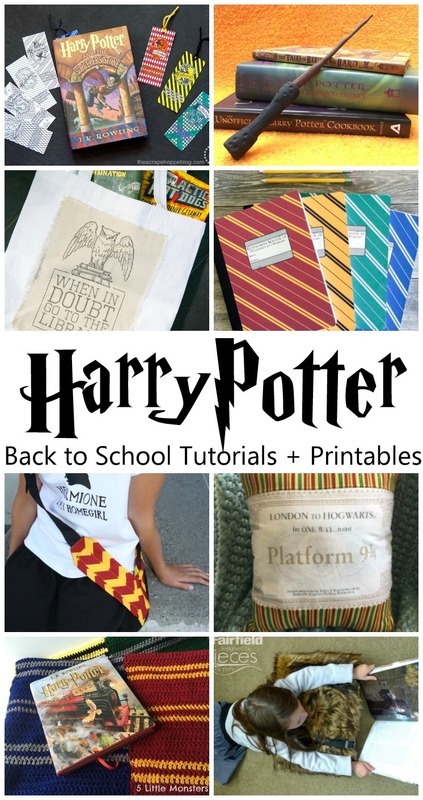 Here are some fabulous Back to School Harry Potter projects to make sure your favorite kid is totally prepared! Printable Coloring Page Hogwarts House Bookmarks you know so you never lose your place. Wand Holster so you can always have your wand ready. We cannot celebrate all things Harry Potter without some tasty treats. 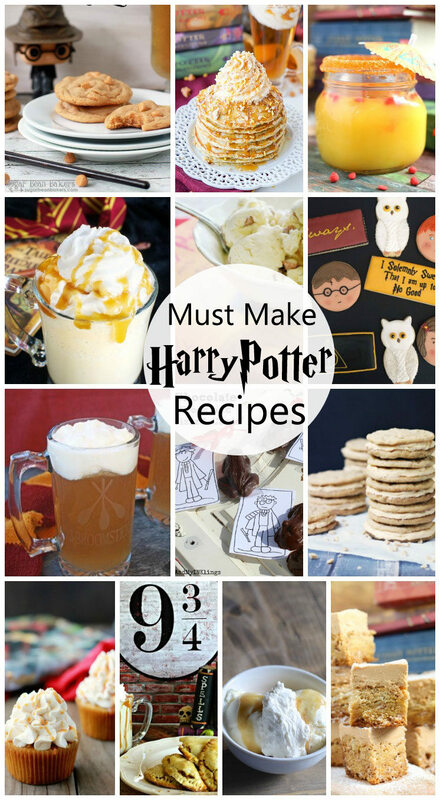 We have Butterbeer flavored EVERYTHING like really everything and it’s awesome but some other Fantastic Harry Potter Food Recipes! J.K Rowling taught us that words truly are magical. What better way to celebrate these stories that impacted so many of us than with Harry Potter Quote Inspired Projects? And even though adults adore these books they are first and foremost amazing kid stories. 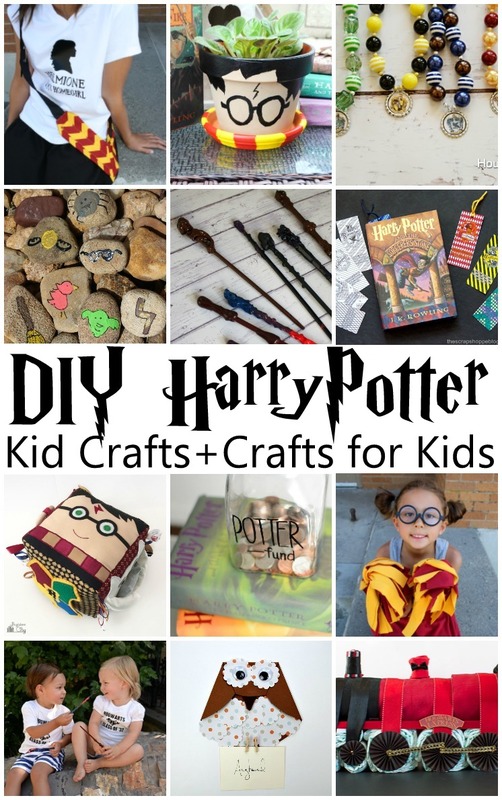 So here are a bunch of Great Harry Potter Kids Crafts that the whole family can enjoy. 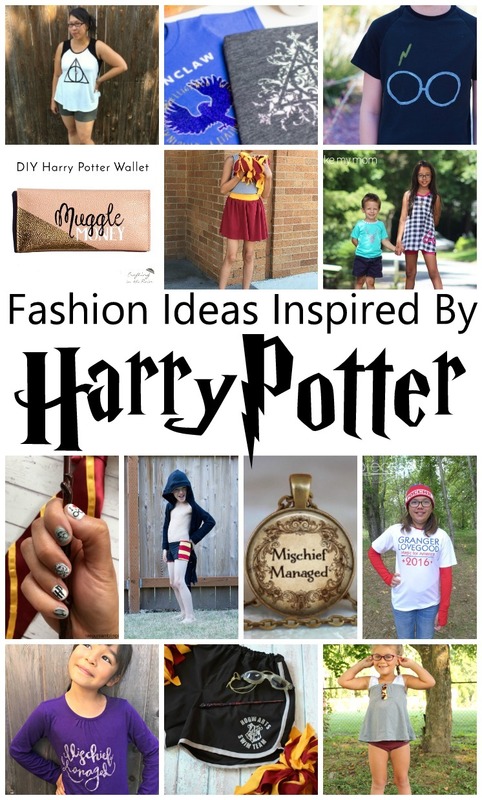 For those of you like me who can’t help but wear your love for all things Harry Potter on your sleeve, literally, here are some awesome Harry Potter Inspired Fashion ideas. How can we forget all the magical creatures that we fell in love with in these stories. 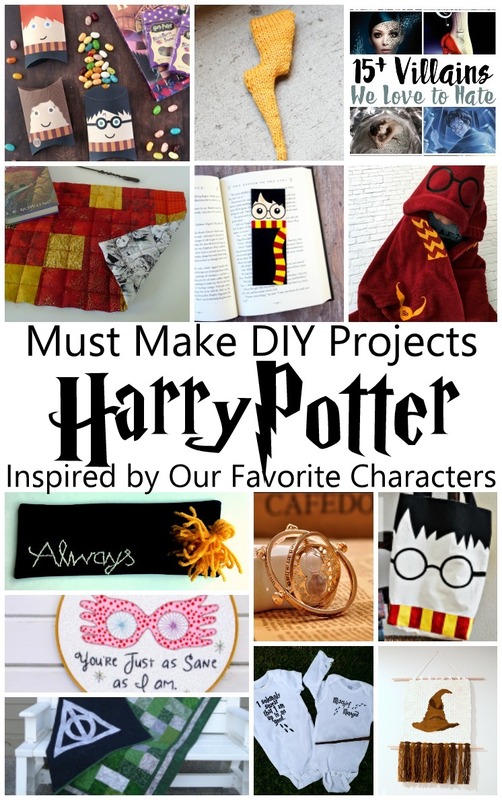 Each of these next projects Celebrates Harry Potter Creatures! Do you see the mama and baby owl on this Harry Potter Activity Cube? The whole cube is actually amazing. Okay I know these cookies have the Golden Trio on them and they are awesome but can we stop to admire how awesome these Hedwig the Owl Cookies are?! Last but certainly not least from all the Harry Potter craziness we got some amazing friends, and role models, and enemies. 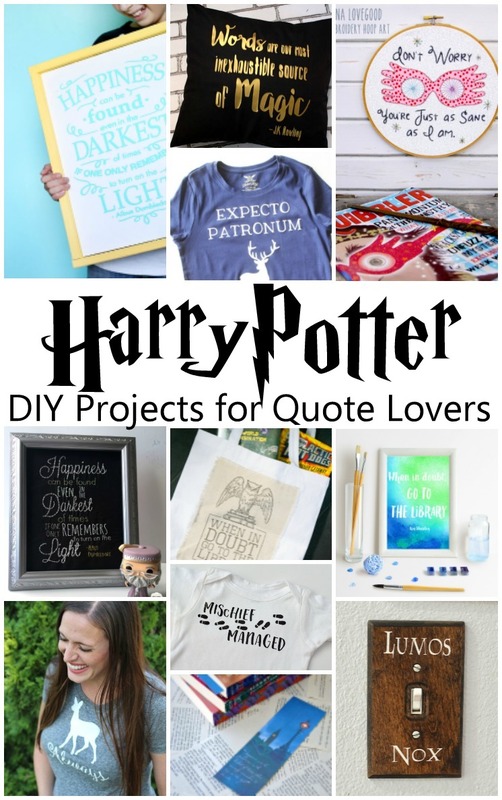 These last bunch of projects are dedicated to our Favorite Harry Potter Characters! Can you imagine Harry without the guidance he received from the generation before through the Marauder’s Map? Fun Mischief Managed onesie. Is there anyone you hate more that Dolores Umbridge? Maybe Voldemort but then again maybe not. Here’s a list of books with more awesome villains! Whether it’s Snape or Malfoy that you love this Slytherin Quilt is top notch. Loony Luna is Ravenclaw and AWESOME through and through and so is this Luna quote embroidery art. Is the Sorting Hat a character? Kind of right but this Sorting Hat Weaving is pretty magnificent. We will Always love and remember Snape and what better way to do that than with a cool hand sewn Always bookmark? 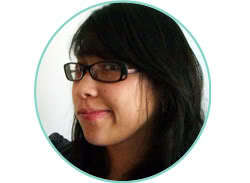 You can’t help but think about Hermione when you think about Time Turners. Many of us grew up with the Golden Trio. 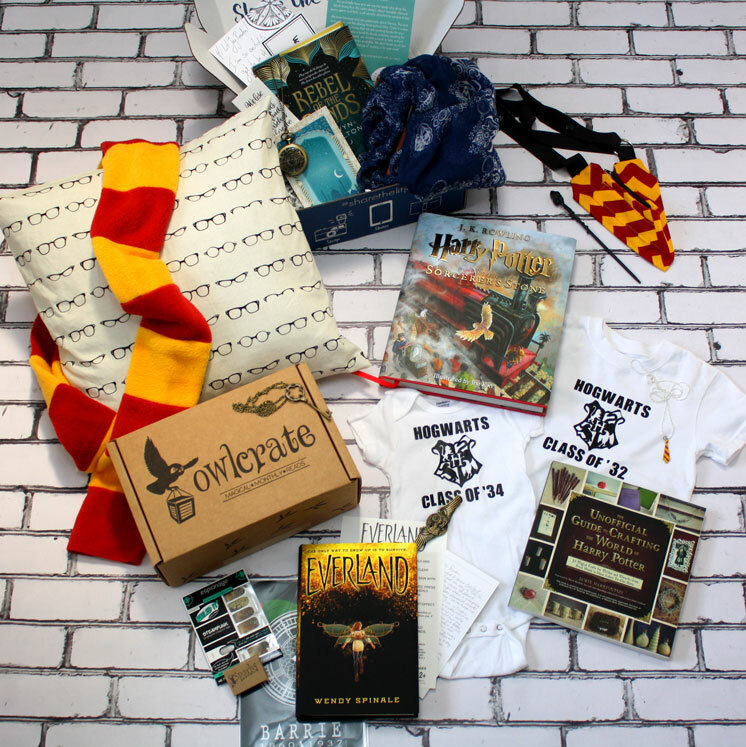 And how fabulous are these Harry, Ron, and Hermione Pillow Boxes. 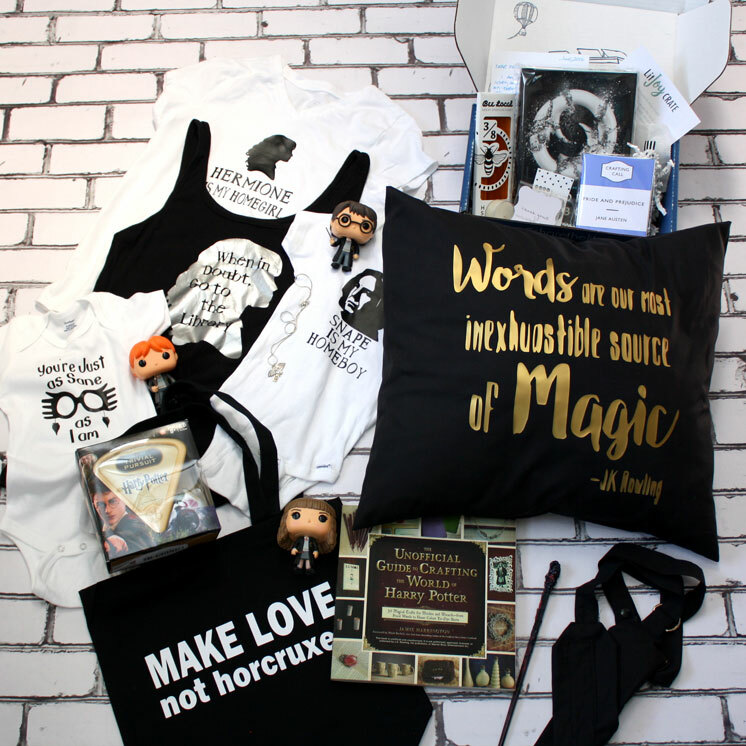 But of course there is always Harry and this Harry Potter Inspired Tote is so fun. And so is this printable Harry Potter Bookmark. 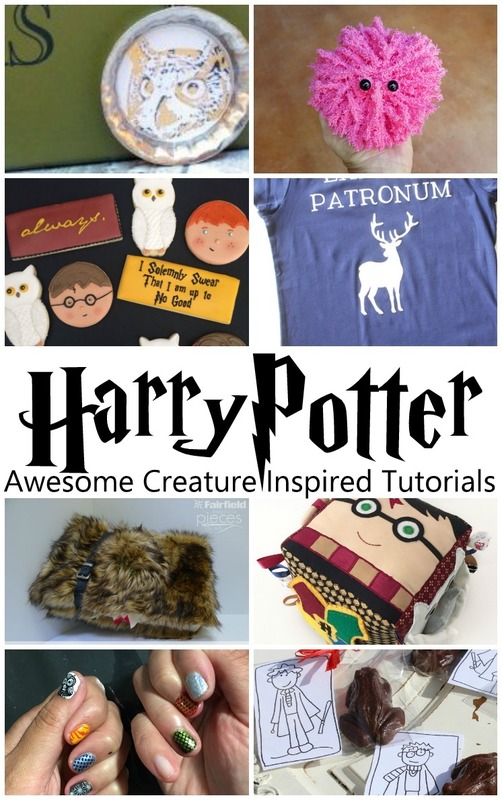 You know you need to knit your own Harry Potter lightning bolt scar plushie! I mean we all need one. Who is your favorite Seeker? Harry or Malfoy these Quidditch Inspired Engagement Announcements are too cute. You can pretend to be Harry yourself with these DIY Harry Potter hooded towels. Okay and there are just a few days left to enter the Giveaways so do it now! All of these are cool! My friend is a totally addicted to Harry Potter…I’ll have to share this to her! Thanks for sharing. aww thanks I’m glad you love them and thanks SO much for sharing!! !